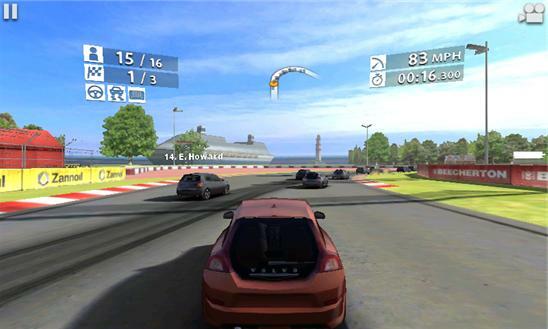 BURN RUBBER ON THE WINDOWS PHONE! • Test your racing prowess on a 16 car grid against highly skilled AI drivers – or battle it out against other racers over WiFi! • Select from 30 officially licensed cars including the 2010 Ford Shelby Mustang GT500, 2010 Nissan GT-R (R35), 2012 McLaren MP4-12C, and more! • Work your way from rookie to pro in a robust Career Mode, offering 10 hours of exhilarating gameplay. Jump into a Quick Race for instant fun – or try to beat the clock in Time Trial Mode. • Race in 15 beautiful locations, with 40 miles of highly detailed race tracks, speedways, and city circuits – including twilight and night races. • Touch or tilt to steer, as you experience state-of-the-art handling with customizable options that tailor to your personal driving style. Ready to race? 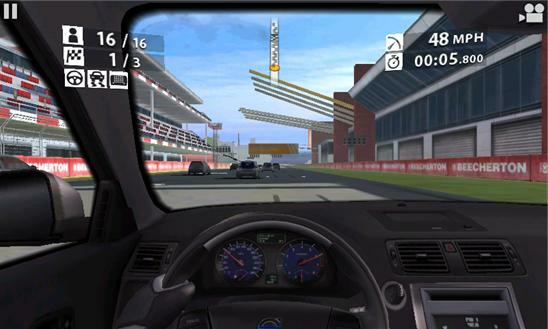 Buckle in, start your engine, and speed away with REAL RACING 2!